Metro Self Storage is dedicated to providing you with the best storage experience in Wesley Chapel. Whether you need storage while you sell your home, or you recently decided to simplify your life and are decluttering, we are at your service. Our experienced property manager can help you determine whether or not a climate-controlled unit is the right solution for your belongings. Small 5X5 and 5X8 climate-controlled storage lockers are ideal for things like vinyl records, CDs, DVDs, electronics, musical instruments, and camera equipment. Medium 10X10 and 10X15 climate-controlled units will hold pictures and artwork as well as wood, leather, and upholstered furnishings from a small home or apartment. Large 10X20 and 10X25 climate-controlled units with drive-up access can hold all of the above as well as temperature sensitive items from a four- or five-bedroom home. Extra Large 15X30 and 22X30 climate-controlled units with oversized doors and drive-up access are ideally suited for home stagers and other commercial storage needs. We proudly serve many nearby communities including Zephyrhills, Dade City, Seven Oaks, and St. Leo. 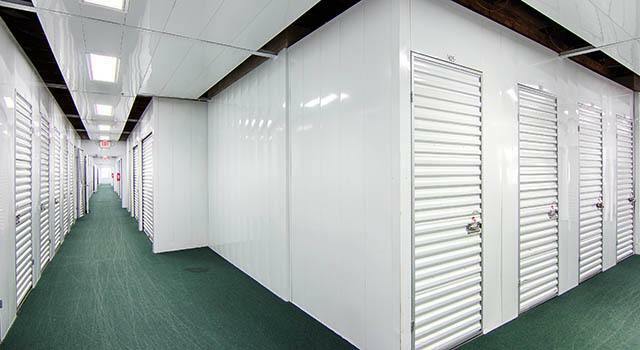 We offer a variety of self storage units and sizes including climate-controlled and large commercial units. Call our property manager for more details, or utilize our online storage specials and reserve your unit with a free seven-day storage hold today.